272 pages | 11 B/W Illus. Dealing with the social experience of grief, loss and bereavement are challenging areas for everyone, including health and social care practitioners who are often well placed to offer help and support to the bereaved. This book draws together a comprehensive range of worldwide evidence for understanding and supporting the bereaved in a variety of health and social care contexts. It can be used by practitioners from a wide range of backgrounds in both health and social care to gain an appreciation of bereavement and its associated support and care. Additionally, it can be used for personal and professional development by practitioners who want to enhance their own and others’ practice with the bereaved in specific contexts or organisations. 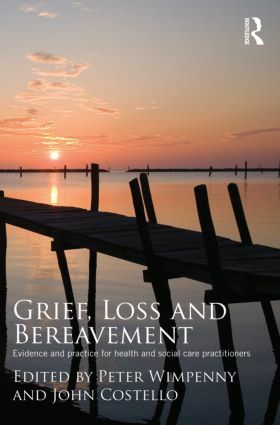 The book may also be of value to those undertaking post graduate study who want to gain a wider understanding of the evidence related to bereavement and bereavement care practice in health and social care and may be seeking to add to the body of evidence in this field.